i would love to enjoy it right after a workout or in the morning to help me get going. 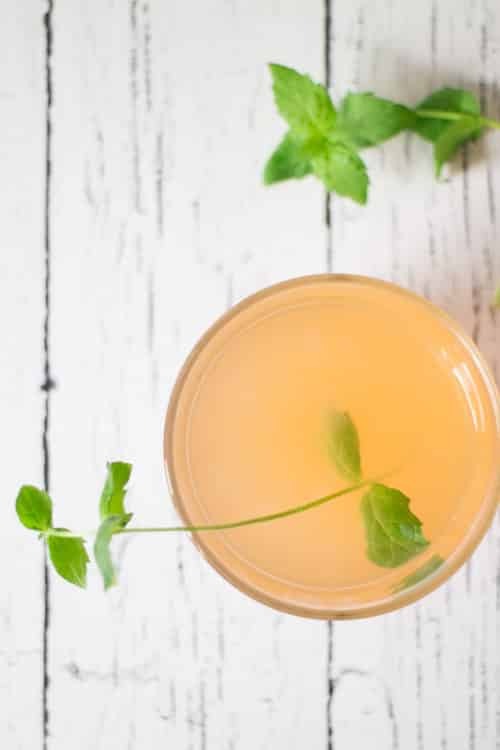 Easy Aloe Vera Juice recipe made with mint and lime. 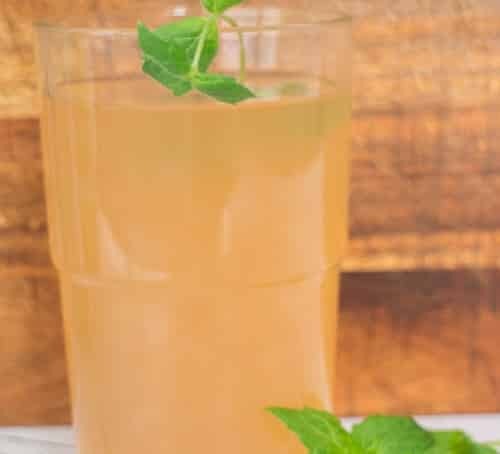 Healthy and refreshing drink! When you think Aloe Vera what do you think of? Probably sunburn. As a kid my parents would slather Aloe Vera on me after every day at the beach on family vacation. As a adult Matthew slathers Aloe Vera on me after every long garden day. What can I say? I’m pale and burn. I’m here to change your ideas of Aloe Vera though (but I’m not here to change your ideas of always covering up in the Sun!). Do you know you can drink Aloe Vera? Oh you bet you can and it’s totally delicious. I’ve recently come to love Aloe Vera drink juice, especially with a touch of lime and mint! 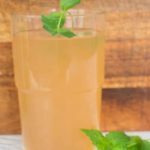 It’s one of my favorite refreshing drinks, especially in the hot Summer months! 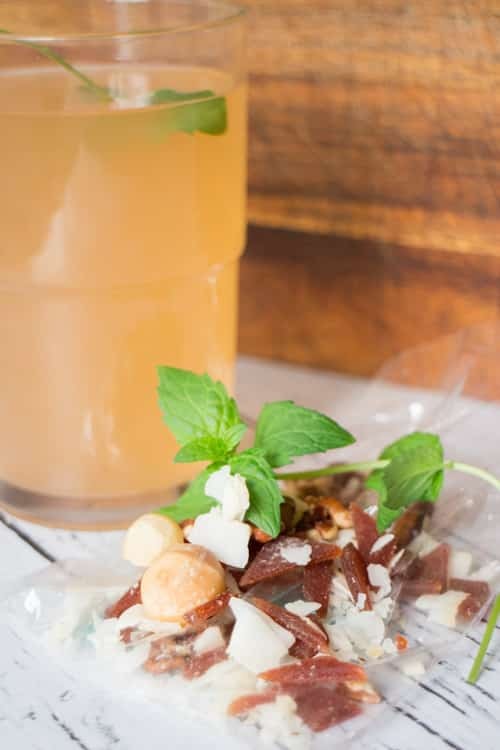 It’s the perfect treat for a afternoon pick me up to have alongside some Hawaiian trail mix. Enjoy this Aloe Vera Juice recipe! Put all in blender and mix. Yum! I love that idea! I haven’t tried drinking aloe vera juice, but I do enjoy mint tea. I would drink it during my work day. I have a very physical job and need something refreshing during the day! I’d definitely drink it in the afternoon at work for a healthy pick-me-up. These look like the perfect summer drinks! So refreshing and hydrating! Love them! I’ve heard of the amazing benefits of drinking aloe, I bet your homemade version is great! Not slimy at all Anna! Tastes smooth like juice! 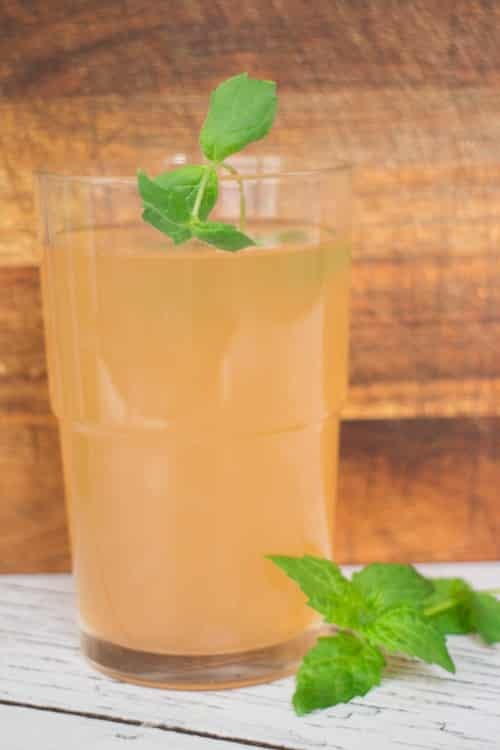 I’ve seen Aloe vera drinks in a South Asian store I go to – I would love to try ALO in a smoothie or shake – maybe paired with papaya or mango – though I do love your version with mint and lime too. I actually drink a little aloe juice every day! My doctor actually recommended it for some stomach issues I have, as it really soothes irritation. I’ve been taking it as a shot because the kind I buy doesn’t taste the best — I’m going to have to keep my eyes peeled for this stuff! It sounds pretty tasty with pomegranate and cranberry.